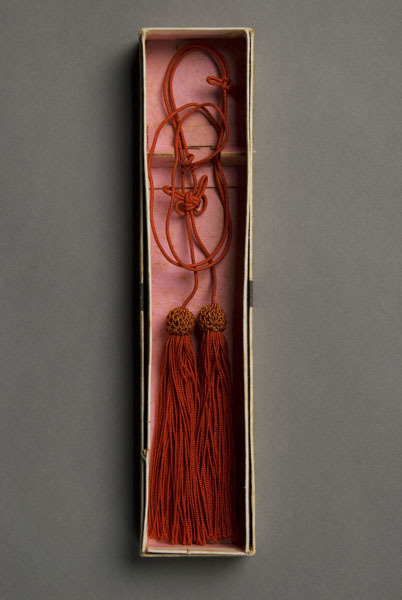 1 cord with tassels ; 18 in. 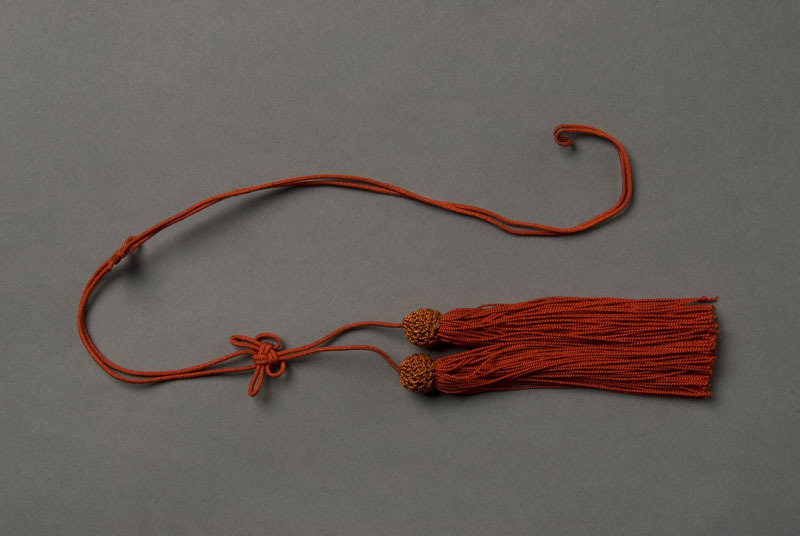 Two red tassels hang from fine knotted cord (1 square knot, 1 fancy knot). Tassels have a round crochet cap and long straight threads (4 in.). Resides in cardboard box.